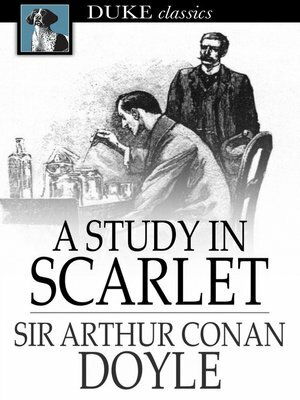 A Study in Scarlet is the first of the Sherlock Holmes stories. Watson narrates his first meeting with the eccentric Holmes, who appears almost genius in some fields of study and completely ignorant in others. This, as Holmes explains, is because he believes that brain space is limited, and one must be careful what one puts in. He gradually reveals his method and thinking to an astonished Watson. We see Holmes languishing at home, scratching at the violin he can play to perfection. We see the erratic way he conducts business, and finally, after a trip across half the world into a completely different landscape and story, we see him unravel the mystery at the heart of the novel in an apparently effortless manner.